35 reasons to explore Lauderdale County! Welcome to the Lauderdale County Home Page. If it ain't scrollin' you ain't using Microsoft Internet Explorer! 03/05/2001 11:00am Did you know we offer access in most West Tennessee Counties? You may use your lctn.com account in Dyer, Tipton, Crockett, Lake, Madison, Obion, Lake, and more by using our other local access numbers. One account, one price with access throughout West Tennessee, does yout internet service provider do that? Check out our rates, too, we have unmetered access starting at $19.95 (with credit card billing) and metered plans as low as $9.95 for 20 hours. 02/12/2001 10:00am If you access the internet from several different computers, it is nice to be able to check your e-mail from different locations. ECSIS.NET offers web access to your lctn mail through it's Web Mail Page. Enter your account name, password and select LCTN.COM for the server. Anything you leave in your inbox will remain until you use a POP3 mail program such as Outlook Express or NetScape Mail. This page also comes in handy if somebody sends you a message that Outlook Express can't handle (so called hanging messages). You may access your mail on the Web Mail Page and delete it from there. This way Outlook will never know about it. 11/09/2000 8:30pm Some may not be aware we offer a $19.95/month credit card plan. If you want flat rate access with no worries about remembering to pay a bill, set up your lctn account for automatic payment by credit/debit card. Call 836-0191 and let the friendly folks know you want to change your account to credit/debit card billing. You'll need your account name and a valid credit card. The Governor of Tennessee, Don Sundquist, visited Ripley Primary School recently. Check out this web page from LCED about the visit. The Lauderdale County Education System has a new address on the web. It is www.lced.net which stands for Lauderdale County Education Network. Make it a point to stop by a visit the various school sites and keep up with the future of education in Lauderdale County. If you have a digital camera and want prints but are tired of spending too much on ink and glossy paper to get only mediocre quality, try Sony ImageStation. They will let you store pictures at no cost and offer prints from 0.49 for 4x6s. When I signed up they had an offer for 50 prints free plus shipping. 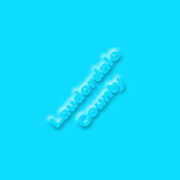 A new quick link now appears on the Lauderdale County Home Page. This link allows you to check you lctn mail from most web browsers, from most computers, anywhere in the world using just about any internet service provider. Unlike POP3 mail programs like Outlook, Web Mail uses a web interface and retains your mail on the servers at ECSIS.NET. You can check your mail on the road, and it will be waiting for you on your primary PC using Outlook Express when you get home. Isn't it time you got a faster connection to the internet? If you already have a second phone line just for your computer, you can go 64K ISDN for about the same monthly cost. Here are the details. This page last updated Mon Mar 12 00:09:02 CST 2001 and © 1996-2001 by Custom Software Solutions. For corrections, omissions, comments or suggestions click here. Look at CSS Internet Service for information on the complete line of Internet services for Lauderdale County.